Monday, May 25th: Happy Memorial Day!!! 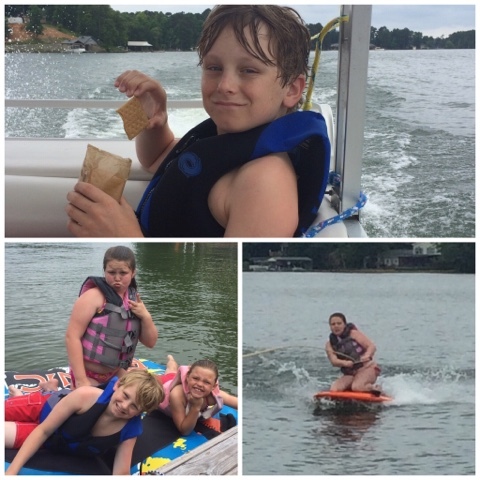 We enjoyed another day on the lake tubing, boat riding & knee boarding! Tuesday, May 26th: Lucky Fisherman! 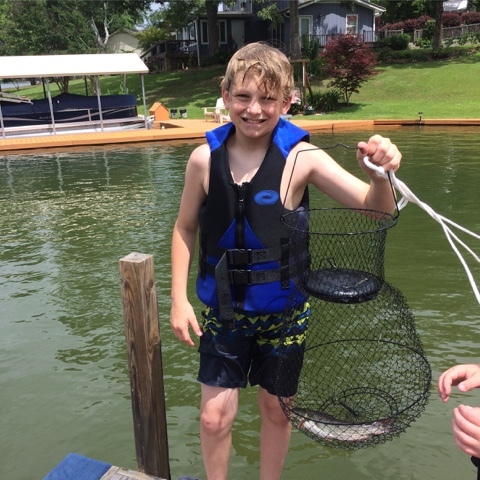 Jackson is probably the most impatient fisherman in the world but today when all the cousins were fishing he was the lucky fisherman who caught the only fish that day! 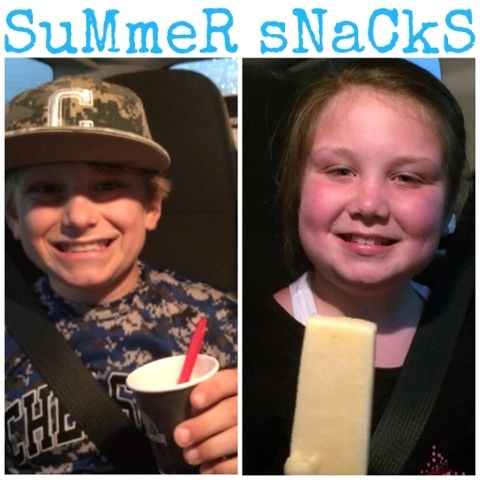 We love an after dinner snack in the summer and tonight's choices were Sweet Frog for JP & Steel City for Brylee! Thursday, May 28th: Lunch with the Haley Girls! 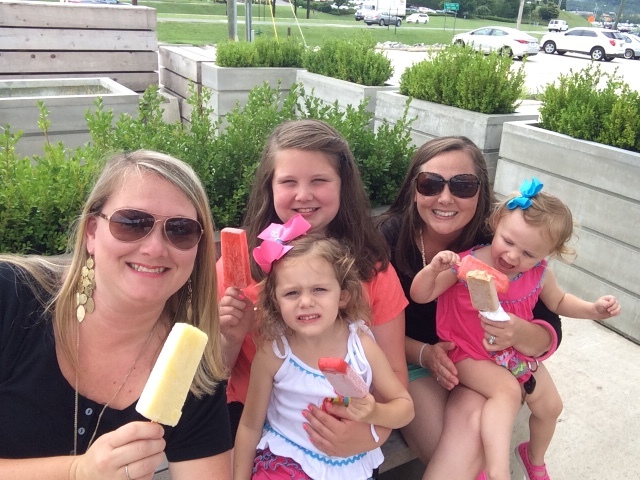 Brylee and I met Katy and her girls for lunch at Chicken Salad chick and then went to have Popsicles at Steel City!!! We love a good girls lunch!!! Friday, May 29th: celebrating a win with Sweet Frog!!! 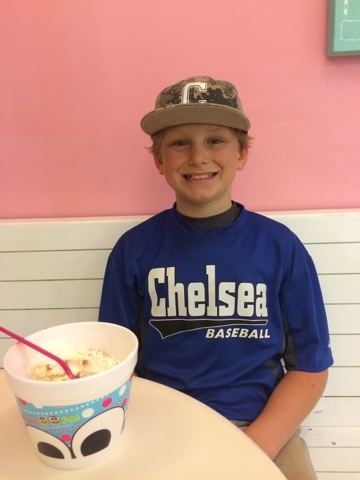 Jackson won his first practice game and wanted Sweet Frog for a post game snack to celebrated! Saturday, May 30th: Pepper Place Fun! Brylee and I went to breakfast and pepper place (a local farmers market) with GoGo and G-Daddy today! 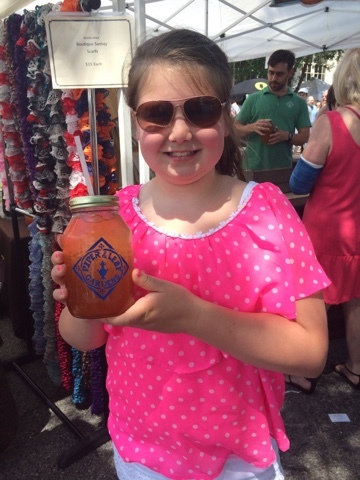 Brylee enjoyed her big ole jar of sweet tea! 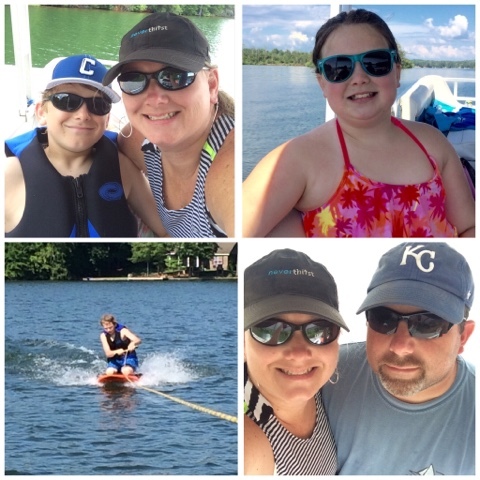 Sunday, May 31st: Boat Riding: we headed back to the lake today for some more summer fun since we had a weekend off from baseball (well we had practice but no game)! Fun Family Times!